In December 2018 we were honoured to be named as one of the “best of the best Top 50 Wedding Experts” by GoHen. December 2018: This image of Lizzie & Bobby was captured at their wedding at Curradine Barns last month. Thanks for taking a quick break from the dance floor to enable me to take this guys! Thank you so much to the judges over at NineDots. I have to pinch myself every now and then as I often reflect on the job I do and can't believe how lucky I am...to meet so many awesome people, and to visit so many amazing places! It's just a bonus that sometimes one of my images wins an award...and to get recognition from my peers. In May 2018 I was listed as one of the Top 50 UK Wedding Photographers of 2018. It's a huge honour to be featured amongst some of the best in the industry! In December 2017, we were included in the list of the Top 100 Best Wedding Photographers in the UK by the 'Your Perfect Wedding Photographer' website. We are so excited! It’s a massive honour to be amongst so many talented people. We won The Best Wedding Photographer in the West Midlands Award! THANK YOU, THANK YOU, THANK YOU to all of the lovely couples who voted for us! 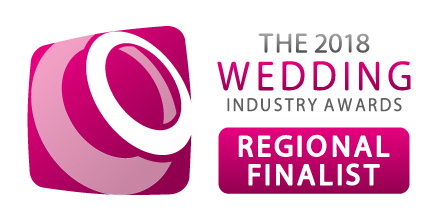 We are SO HAPPY to have been selected as Regional Finalists in The Wedding Industry Awards!!!! We are so happy and honoured to have been nominated in the Wedding Photographer Of The Year category in The Wedding Industry Awards! We were awarded another 'Wedisson Best Wedding Photography Award' in March 2017 for this image of Hayley performing with fire at her own wedding at The Moat House in Acton Trussell, Staffordshire. At the beginning of January 2017 we won a ‘Wedisson Best Wedding Photography Award’ for our first ever submission for this image of Zoe + Michael taken at Madeley Court Hotel, Telford. Wedisson recognise the best wedding photography internationally, and it is a huge honour to be amongst so many talented photographers from around the world.